After a tour with fellow Anansi poets Garth Martens, Anne-Marie Turza, and Matthew Zapruder through Toronto, Montréal, and Ottawa, I headed out to New York. 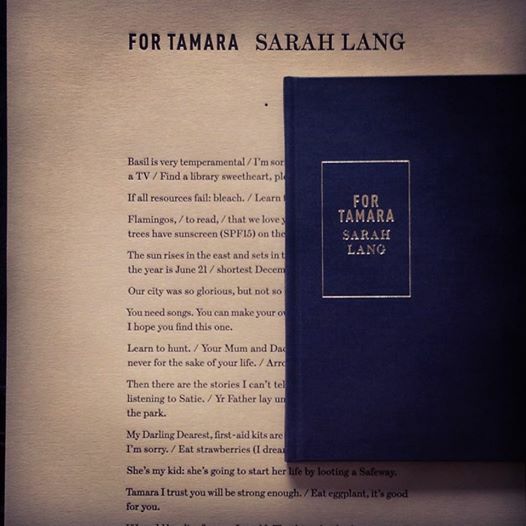 Aside from trade paperback, and electronic editions of For Tamara, there are now limited edition hardcovers and broadsides. Lemonhound, among other places have also featured For Tamara.